Great News! 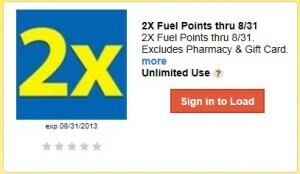 Fry’s is offering us 2x Fuel Poins Every Day with digital coupon in the month of August! Be sure to download the fuel savings digital coupon to your VIP card. Offer expires 8/31/13.